Will Smith had the single Men In Black for the original Men In Black movie and his did it again with Black Suits Comin' for the sequel. For the new Men In Black 3 due out in May it looks like Will has hung up his rapping shoes and the honours have been passed to everywhere rapper Pitbull! 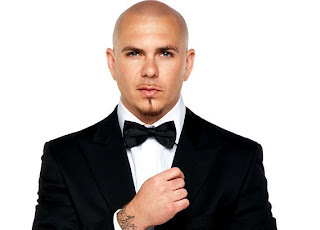 Interestingly sampling the 1950's song Love Is Strange from Mickey & Sylvia which features on the Dirty Dancing soundtrack Back In Time is a funky track and Pitbull's familiar vocals do their business! Only just released as the precursor to the Men In Black 3 promotional roadshow expect to hear this song everywhere..!